Pelvic floor architectural defects are related to parity, aging, hysterectomy, and chronic straining. The muscles and the supportive connective tissue can be torn, stretched, or denervated. 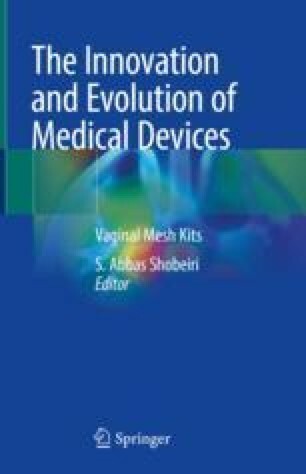 Basic understanding of pelvic floor anatomy is essential to understanding why the use of vaginal mesh kits was seen as a plausible surgical solution. The goal of the current chapter is to use the suspension bridge analogy and simple representative drawings to communicate to readers the complex pelvic floor anatomy and function and the rationale behind mesh usage.